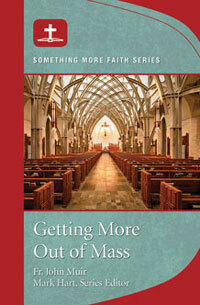 If you enjoyed Getting More Out of Mass, you are sure to love Getting More Out of the Eucharist. 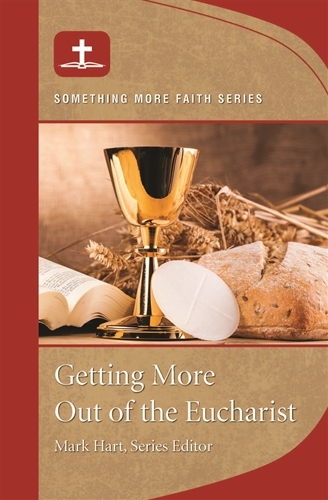 The Catechism of the Catholic Church tells us the Eucharist is the “source and summit” of our faith. So coming to understand, both intellectually and spiritually, the amazing gift that Jesus left to his Church will transform your life. Just in time for the joyful season of Easter, learn how Jesus comes to us, giving us his real flesh and his real blood, to console us and strengthen us for our walk as his followers. Getting More out of the Eucharist will guide readers to experience the wonderful gift of Jesus himself, which he gives to us at Mass. God always has more for us—more of this love, more of his grace, more of his peace. 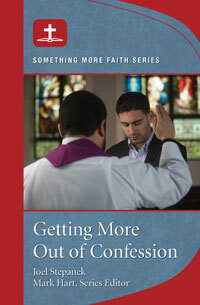 The 40-page booklets in this series are designed to maximize individuals or small groups time while providing a deep impact on one's spiritual life. 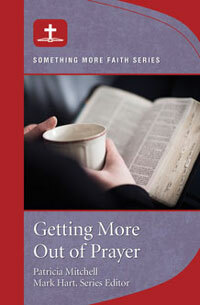 Written for both individuals and small group use, these guides offer insight, Scripture, and prayer, and lead participants to a closer relationship with God in a way that is accessible, engaging, and meaningful to daily life.